If you need tips to keep calm in stressful situations according to your Zodiac sign, then just scroll down to your sign and learn how to better handle yourself in these situations. Although stress and tension are largely a result of each person’s lifestyle, the way we deal with situations is reflected in our well-being: we have different reactions to the same situations. Through Astrology you can better understand the personality traits of each sign and through them, better understand how you deal with stress, and what you can do to stay calm. It is essential for you to build up the habit of including in your daily tasks a physical activity of medium to high intensity, that allows you to discharge all the tension accumulated throughout the day. A late-day run or an hour at the gym are good options. Avoid team sports, which can make you even more excited. A linden tea before going to bed can also be part of your stress-relief manual. Natural remedies work well with this sign, so drinking mauve tea every night will help your mind relax. You should also engage in gentle physical activity, such as a walk at the end of the day in the company of a friend, which will allow you to relax. Accept that you cannot control the reactions or the feelings of others, you can only decide how you will react… Smile more often! Just relax. Whenever you feel embarrassed by a whirlwind of thoughts or you are too nervous to think about how many things have to be done, stop. Close your eyes. Take a deep breath and focus all your attention on your breath. Even if you are distracted, focus on your breathing again. Feel the air entering your body, and leaving your body. Nothing more. Stay like this for a few minutes. Okay, now you can continue your day. Here you have some breathing techniques that will help you. Cancer feels good when it is in their environment, in their house, with their people. The most effective way to keep stress levels under control is to spend more time with the people you love because it is in the comfort and warmth of your family that you gain the confidence you lack at times. Having someone around to help you, in a daily basis, to relativize the situations, will make it much easier to remain confident. In addition, the contact with water it is also like an invigorating balm for you; practicing a water sport is an excellent therapy for Cancer natives. Leo is very active, so you need to include sport in your routine, to get rid of the tension that accumulates throughout the day. Since this sign is a fervent connoisseur of luxury, weekend getaways, in a charming hotel with spa and pool, in a quiet location, are an excellent remedy for them. Massage and beauty treatments are also great ways to relax. First of all, and above all, put yourself first in your life. Accept that you are wrong too and that it is no misfortune that it is so: we all make mistakes, fall and fail when we are learning to do things the right way. Then it is very beneficial for Virgo to create the habit of setting aside time to do nothing, letting themselves just go to the taste of their will. Since they love schedules and routines, take an hour a day, at least twice a week, in which you can absolutely do nothing that is not solely and exclusively for your own pleasure. Read, go to the movies, gardening – have fun! Learn how to unplug. Get used to having time just for yourself, without having your phone on, without paying attention to social media, without taking selfies – focus only on yourself, look within. Listen to music, lots of music, as loud as your neighbors allow. Dance, freely, home away. Go out to dance with friends. Go stroll along the seafront with your better half. Make a duet, in the car, with your favorite singer. All these activities regenerate you. Since the Scorpio native does not know how to live below “too much,” the best way to keep your stress levels at an acceptable point is to find a physical activity that allows you to balance daily wear and tear with a constantly renewed energy. 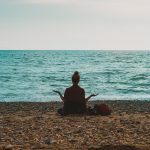 An activity like swimming, that helps you relax in the water, your Element, or a more radical sport, where you can unload all the tension and exorcize your ghosts, are fundamental for the native of this sign that, having a pristine mystical vein, can also find balance through Yoga or a martial art. The greatest asset of Sagittarius to deal with stress is undoubtedly its sense of humor. You should appeal to it whenever you feel boiling in a little water (okay, it’s hard for a native Sagittarius to stop in time), chilling out, laughing, telling your last joke to those around you – and that will immediately make your body relax. On the other hand, this sign, whose symbol is the centaur, half man and half horse, finds peace in contact with nature. The walks in the countryside or on the beach, the walks in good company and extreme sports like abseiling and rafting are ideal for these natives. Learning to relax is, more than for any other sign of the Zodiac, fundamental to Capricorn. This sign needs to be forced to stop, to relax, to simply have fun. They like parties, so getting acquainted with friends is a good strategy to ward off stress because it’s in this context that Capricorn breaks free and shows their bold and expansive side. At home, indulging in a hobby such as DIY or decor – something useful and practical, as Capricorn hates “wasting time” – are also good techniques for chilling out. Give more emphasis to the enjoyable side of life, learning to organize yourself better to get rid of so many worries. The difficulty in following rules and being disciplined can make the life of this native more complicated, and knowing how to better manage your time can help you to relax. Developing your spirituality is also a great way to learn to quiet the noise of your mind. The practice of Meditation, Reiki, Yoga, is highly recommended for Aquarius. Laughter therapy, alternative therapies, and all activities that provide spiritual development are tailored to the these natives. The biodanza, and all the other dances, too. A course of painting, illustration for children, theater workshops or creative writing, all these hypotheses are excellent for this sign, because the secret to find tranquility requires, in this case, to channel their energy through art, expression and spiritual development. In this way, Pisces feels stronger, more serene and at peace. What is your Zodiac sign’s tarot card?